Mike represents clients in the leasing, acquisition or disposition of industrial/commercial properties since he joined Stevenson in 1989. In 1993, he formed a team with his brother Tony Maniscalchi, and they have been an industry leading team for the past 20 years. In 1995, the firm’s former affiliate Prudential Real Estate honored Mike as the number three Sales Associate in the State of California for commercial gross commission income. Mike has been a top producer each year with total transactions valued over $1.3 billion dollars. 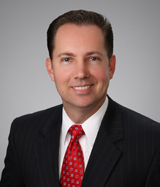 Prior to joining Stevenson, Mike was involved in real estate construction. Mike’s responsibilities included carpentry rough/finish and electrical rough/finish. The Maniscalchi family spans three generations and has been responsible for the construction of over 2,500 apartment units, 500 condominium units and numerous industrial/commercial developments in the cities of Glendale, Burbank and Los Angeles. Mike is very active with various city and charitable functions. He has also appeared on regional cable television in Glendale and Burbank during his appointed time with the Board of Zoning Adjustments for the City of Glendale. Mike attends numerous conferences on real estate development and brokerage and has taught real estate courses.